Extreme Exposure hosts some of diving's best educators, including internationally-renowned explorer Jarrod Jablonski, GUE Assistant Training Director Kirill Egorov, GUE instructor Evaluator Mark Messersmith, Doug Mudry (GUE), Dan Patterson (NSS-CDS Training Committee/TDI/PADI), and Kyle Harmon (GUE). A range of other talented educators and dive guides are also available and are ready to help you meet your training goals. 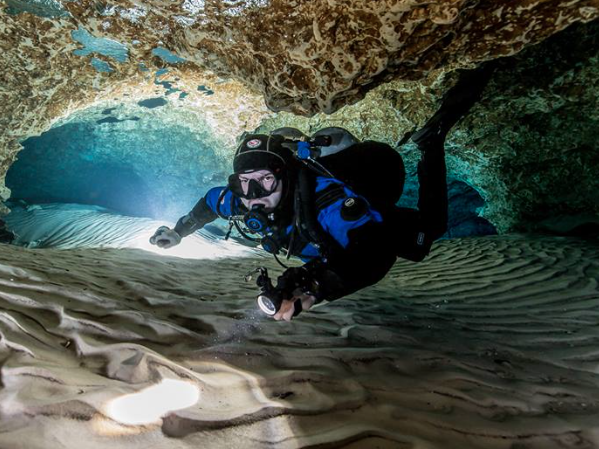 In addition to cave diving, EE regularly coordinates local instruction covering the full range of classes offered by Global Underwater Explorers, NSS-CDS, TDI, and PADI. Most classes are scheduled based on demand, so if you do not see a class that fits your schedule or needs, please contact us! Douglas Mudry is a GUE Fundamentals, Recreational, DPV, and Cave 1 Instructor. 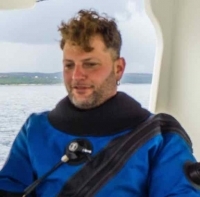 His years of experience interning under some of GUE's most admired instructors, as well as extensive knowledge of proper gear configurations, and his role of primary support diver for the WKPP all contribute to making him a very skilled instructor. His teaching schedule includes several standard five-day Fundamentals classes, as well as a few classes planned over the course of two weekends, allowing students time to digest material and practice skills prior to an evaluation. If you are interested in either course format, or would prefer to schedule your own course with your team, please contact Doug@gue.com for more information. If you would like more information about the Fundamentals curriculum or would like to register for one of Doug's courses, please visit www.gue.com. For a list of Doug's scheduled courses, visit Doug's scheduled courses. Kirill Egorov has been instructing diving for over 15 years. 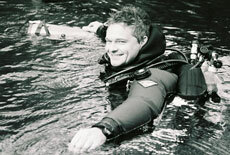 He has experience in all environments ranging from tropical open-water to the bitter cold caves of Russia, as well as rebreather and deep technical exploration. Kirill is originally from Moscow, Russia but has recently moved to High Springs and is GUE's Assistant Training Director. Kirill teaches in the recreational, technical, cave, and instructor training curriculum for GUE. If you would like to contact him for more information on any of his training courses, please email Kirill@gue.com. See Kirill's complete resume here. Kyle Harmon is a transplant from Oklahoma who fell in love with diving during college. He is an avid cave and technical diver, rebreather trained, and a member of the WKPP. He currently teaches GUE Fundamentals while also managing Extreme Exposure full time. His teaching schedule is flexible, offering a standard 4-5 day Fundamentals course or a split course. If you are interested in a already scheduled course or would prefer to schedule your own course with your team at your desired location, please contact Kyle for more information. He can be reached at Kyle@gue.com or by phone at the shop at 386.454.8158. For a list of scheduled courses, please visit Kyle's Scheduled Courses. Dan Patterson has been diving since 1984 and his diving experiences have taken him all over the world; among the most rewarding would include trips to Micronesia as well as the Monitor and the Andrea Doria. He offers both cave and technical diving instruction and has been doing so since 1996; his training agency affiliation includes the Professional Association of Diving Instructors (PADI), the National Speleological Society - Cave Diving Section (NSS-CDS), Technical Diving International(TDI), and Diving Science and Technology (DSAT). 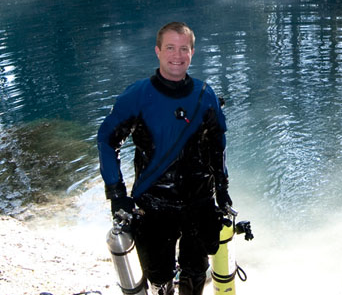 Naturally, he enjoys challenging his students at all levels, be it Cave, Advanced Trimix, or Open Water SCUBA Diver. His diverse experience makes the PADI programs he teaches for our shop some of the most comprehensive open water courses available. If you would like to contact Dan for more information on any of his training courses, please call 386.454.8158 or email divetraining@yahoo.com.